From One Laptop Per Child to the likes of Keepod, there’s no shortage of companies looking to bridge the digital divide between the rich and poor. But few cater for the people who can afford to live well, but don’t have the internet access to join the digital revolution? San Francisco-based Endless Computers is one company trying to do just that; its eponymous computer; a lost-cost desktop based device with an aesthetic akin to the colourful Apple G3 iMacs targeting the growing middle classes of emerging markets. In lieu of cloud services, the Linux-based Endless is designed for areas where there is little to no internet and comes pre-loaded with offline-apps for the developing world; Health/Wellness, Farming, Finance, Entertainment, Encyclopaedia etc. When we spoke to CEO Matt Dalio back in May 2015, he said the idea for the eponymous computer came from his travels in India, where everyone had phones and TVs, but often little internet access. But with the desktop PC market declining rapidly, is there still demand for them in emerging markets when smartphones and tablets are so cheap and readily available? “Absolutely. We get this question a lot, and while the PC market is declining globally, there is still a very large opportunity in emerging markets. While people in these markets have access to smartphones and tablets, the full functionality of a desktop computer is what will make the difference between access to information and acting on information. 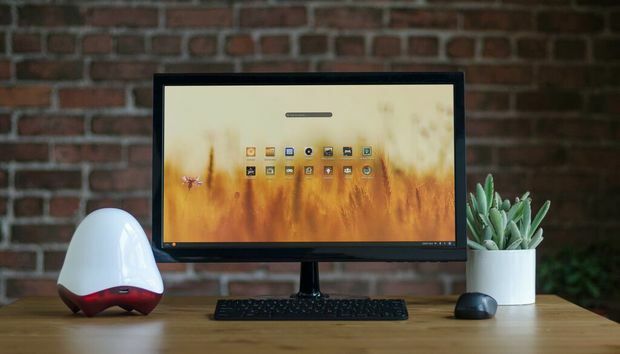 The Endless OS current has over 150 apps in total currently – available in English, global Spanish, Guatemalan Spanish, Portuguese and French - with more planned for 2016 and beyond. As well as the Kickstarter, Endless has closed a new round of financing from “both existing and new investors” to help drive the company’s expansion. For now, Banning says that rather than run a second campaign, the company is “likely stick with more traditional methods, press outreach, paid ad campaigns and social media to grow our footprint and tell our story”. In a recent interview with TechCrunch, Dalio suggested Endless see themselves more a software provider than a hardware company, and in the future may license its Endless OS operating system to other hardware companies.